A comprehensive video for Instant Pot newbies, how it works, how to use it, what functions are useful. I also show you how to make hard boiled eggs. Since I got my Instant Pot 2 years ago, I’ve shared tips and recipes quite often here on my website and also on my Instagram, where I show a lot of behind the scenes and casual life videos. One of the most highly requested videos was to share a basic introduction to the Instant Pot for newbies. If you are the owner of the Instant Pot but haven’t become proficient in it yet, or maybe are intimidated by it and haven’t even taken it out of the box, this video is for you. I share how I use it, some basics about it to keep in mind, and demonstrate one of the easiest things to prepare in it – hard boiled eggs. One of the best things about making hard boiled eggs in the Instant Pot is how easily the egg shells peel – it’s really awesome. If you have any questions about the Instant Pot, leave them in the comments and I will try to answer them if I can. If you have any Instant Pot recipe requests, let me know as well and I will try to share some with you in the future. Not only am I sharing this video with you today, but I am doing an Instant Pot giveaway, for a 6 quart Instant Pot, just because I want to share this incredible appliance with you and express in a very small way how much I appreciate my loyal readers. All you have to do is follow the prompts in the Rafflecopter widget below and I will choose a random winner in one week, January 24, 2019. The giveaway will be open from January 17, 2019 – January 23, 2019, at midnight, Eastern time zone. The contest is open to US residents only. To enter the giveaway, follow the instructions in the Rafflecopter widget below. Sometimes Rafflecopter experiences technical difficulties. If you can’t enter for some reason, try again later and it will probably work. I’ve been wanting to buy an instant pot for a long time, you convinced me. I would love to make almond milk yogurt. Hi Olga! Thank you for sharing all your tips. I always enjoy your stories and videos. I’ve never tried an instant pot yet but I’ve been reeding lots of reviews about it lately. I think it’s time to have this appliance in my kitchen! I’d like to try making a farmers cheese in it, also excited about sautéed button, and of course would try to boil eggs! I would love to win the instant pot! I would like to use instant pot for one-pot meals, for those busy nights of the week. 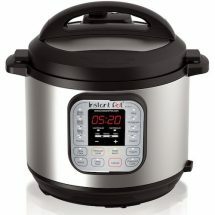 I use a small pressure cooker for lots of meal prep during the summer – would love to have an instant pot with larger capacity. Thanks for doing this generous give away! Not sure what I would make, but I know there’s lots of recipes out there, so this would be pretty awesome! Would love to win an instant pot! Heard really good things about it and would love to try out some one pot meals! I’m getting married this May. 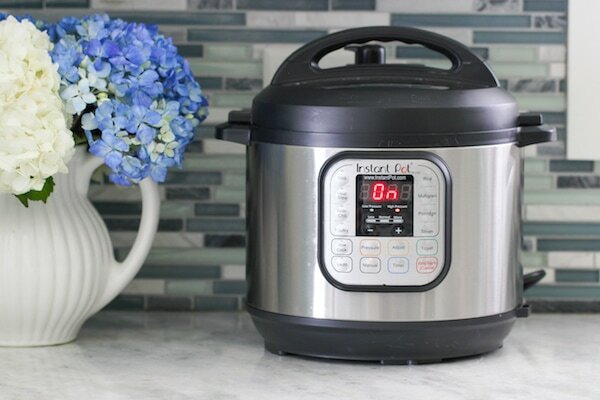 I think having an Instant Pot will be perfect for those days when my husband and I will be both working and needing something quick! I would love to win the instant pot. I would make one pot meals and soups. I also saw many more recipes that I would like to try making. Super duper excited for this giveaway. I would love giving instant pit a try and look forward to trying rice and meat recipes. Also I heard salmon turns out amazing, also steamed beets. I would love to win the instant pot. I would make some one-pot meals and soups. Would love to win one and gift it to a friend!! Would love to win one. I have been debating whether or not to get one, but seems to be a useful tool in the kitchen especially balancing work, school, kids, life! I hope to see more Instantpot recipes on your blog! I made beef chuck pot roast recently with some red wine cooked for 60 mins in the pressure cook. It was amazingly tender and the gravy thickened up with cornstarch. Soo good now I can’t live without my instant pot. I’ve been debating about whether to get one or not… but if I win this one then this is fate for me to have it! I love your recipes! I saw that you can make pulled pork and am so excited to try pulled pork in an Instant Pot! I’ve got three little ones and cooking is definitely taking up a lot of precious time in our days. This would be an amazing tool to have. Thank you for the tips, would love to win. Insta Pot seams to be pretty popular. Need to try it out. Would love to try to make soup or a quick one pot meal. I have an 8 quart instant pot. I love using it for collard greens. This would save me so much time with meals and meal prep! Especially after we have the twins! Would love a post on party/big crowd recipes that could be made in an instant pot when the stove is completely occupied by something else. Hi, Olga! Awesome giveaway! I would love to win this! I’ve never used an instant pot. You say you can cook meat. Is it really tender as if done in a crock pot? Would love to try the instant pot. I would love to win the instant pot. I would make some one-pot meals and soups. I don’t make mashed potatoes in the Instant Pot, Jessica. I don’t think the Instant Pot is perfect for everything, and I prefer mashed potatoes prepared on the stovetop. There are recipes better suited for cooking in a pressure cooker and others are best made with other methods. I’ve been looking to get a instant pot, but been cautious. Thank you for posting the video! I enjoyed it ☺️ And the giveaway is amazing by the way lol. I hear many good reviews about it. Definitely a good addition to the kitchen family of pots and pans. I would love to see more receipts in the future, any kind. I would love to see more receipts in the futurein Instant Pot, any kind. I would love to see more videos in the Instant Pot, any kind. I tried the instant pot in so many ways now.. made stuffed bell peppers, veggies (beets), eggs, steamed some food and made the barley soup and loved each recipe would love to win another one to gift it for my mom! I use mine all the time and would love to win this as a gift for a friend. Thanks for the giveaway! I’d like to make DINNER in the pot! Drop inside and go! I love the convenience of it. I would love to win this! 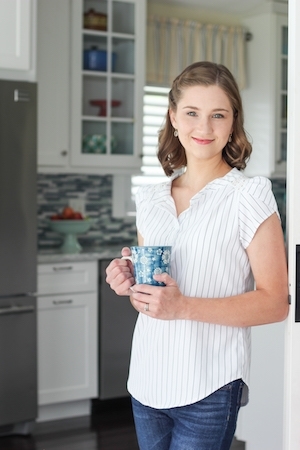 It seems like there are so many recipes using instapot! Would love to do lots of meat recipes for my family on busy weeknights. I want to try some kind of meat dish in instant pot. I have been looking into getting one for a while, I would make prov and steel cut oats!Great post Olga! I would love to win the instant pot. I saw every recipe that you made in instant pot, and want to try them. As a busy mom of three and one on the way more time saving will help a lot. I’m been wanting to get one ! Would love to win ! I’d use it for those days when I’m too busy to be in the kitchen , and with 4 kids this would make meal time prep a bit easier! Would love to win a instant pot ! My mom bought an instant pot and I was instantly impressed how quick and delicious dinners are made in it ! I wanna try cabbage rolls in it! Thanks for posting this! It’s very needed! Would love to win this! I would love to win an instant pot!!! Thank you for the video! I have been wanting to get one but didn’t know if it will just take up space in my pantry. I see it’s very useful though! I would like to make a oatmeal . 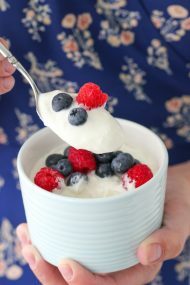 I want to make a big batch of yogurt for my kids. Would love to win. Would make everything in it! Thanks for the great tips, I loved your previous post about instant pot & have learned a lot from your post. My favorite to make is steel cut oats for breakfast & ribs/ beef dishes. They come out so tender & quick. I’ve been wanting to get an instant pot,can’t wait to try these tips when I get it! Thank you olga! Always wanted one! Saves a lot of time especially on some busy days. I can’t wait to try to cook various meals in it! Thank you for all your tips and wonderful recipes. This would be so helpful for my busy schedule! Recipes look amazing and so easy! One of the first recipes I’d try if I got an Instant Pot would be this Pressure Cooker Vegan Cheese Vegetable Quinoa: https://www.kiipfit.com/pressure-cooker-vegan-cheese-vegetable-quinoa-and-a-giveaway/. It looks both delicious and healthy! Were a busy family so this would be a great gadget! Love to cook meat faster then what it normally takes. Would love to win! I have been wanting to buy one for a while but was hesitant to. Thanks for all the tips! I would cook one pot meals during weeknights. I hope I get the insta pot I have really been wanting one. I’ve been wanting to get one for a while. I don’t own one just yet but if I get one I want to try making dulche de leche in it!! 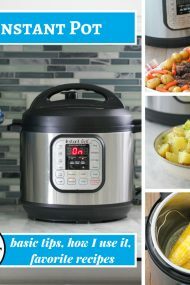 Would love to win this instant pot! It would help our family so much with our busy schedules! Thank you for this video, your tips and this give away! I’ve always wanted to try an instant pot, and always think it will definitely help in my daily routine. Maybe I should just bite the bullet and go for it! Thank you for this giveaway! I’m excited to try to make dulce de leche, home made yogurt and meats of course. I love cooking baby back ribs in a pressure cooker. Haven’t tried in an Instsant Pot, yet. Instant Pot is the best thing ever! I can’t wait to try more recipes and explore! This is great!! I’ve been wanting one for a while as so many people have said how much they love theirs!! Thank you for the giveaway! If I had an instant pot, the first thing I would try is hard boiled eggs. Awesome! I love your recipes. Lately i’m in love with yeasted doughs:) Thank you and God bless your family. Thank you Olga for the giveaway! I would be awesome if I win. If I will win, I would try making some kind of meat in it. Like beef stew or ribs. I don’t have an instant pot yet but if I get one I would love to make yogurt, plov and so many other dishes that I’ve seen people make in it. Thanks you for all these helpful tips! I don’t personally own one but would love one and borrow my moms pot as needed so this info was super helpful! I have been looking for a good cake recipie. Do u have any? No, I haven’t made any cakes in the Instant Pot. No, I don’t have any cake recipes for the Instant Pot, Ani. Thanks for a great tip! Always love your videos. So helpful. I always tell my husband about wanting one because it’s amazing to see how many recipes I could make without being worried that it will be burned lol, but sadly he thinks that it’s an extra for me. So I really hope to win it! I was always curious, do you see a diff in dishes using the instant pot vs old-fashioned Dutch oven? I love how tender meat can be while it cooks slow via the old method. Do you lose anything using an instant pot? The biggest difference is the amount of time that it takes to cook, Tash. It’s especially great for tough cuts of meat that takes a hour or two to become tender in the Dutch oven. In the Instant Pot, it will become tender in a fraction of that time. Hi Olya, dont have an instapot yet, but really look forward to getting one. With a third kiddo on the way it would make dinner time so much asier. Been wanting an instant pot for a while now. I’m a working mom, so I am always looking for delicious quick meals. 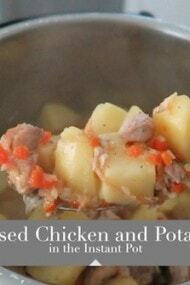 Many recipes I would like to try, but at the top is braised chicken and potatoes. Love your recipes, Olga! I’m excited for the time and dishes that it will save me! As a busy student I’m always looking for new, tasty, quick, but healthy recipes! I love that I can cook condensed milk in just 35 minutes! I’ve been seeing so many cool things you can do with an insta pot and am dying to try it. Buying it will have to wait… gotta save up for my wedding, winning the giveaway would be a perfect wedding present!! 😄 Love all your recipes Olga, your website is always my go to, especially for holiday cooking. Wow looks so easy! Would love to get one! Hi! I absolutely love your recipes! God bless you and your family. Hi Olga! I absolutely love your recipes! God bless you and your family. Nice post and giveaway. I don’t have instant pot but if I would I tried to make broth/kholodets or just delicious meals on busy days. So exciting! I’ve been waiting to buy one, but it’ll be better to win! I’ve heard so many great things about this pot! I would love to try it. I would love to make black beans and rice with pork in an instant pot! Thank you so much Olga! Great post! May I add the suggestion? I would love to have all your Insta Pot recipes have a tag “ insta pot” so that tag would bring up all of the recipes that can be done in insta pot. It would be very useful for us! 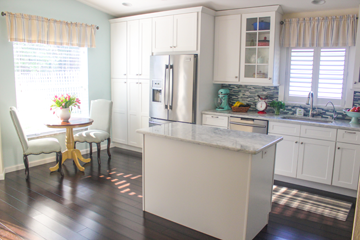 Thank you again for your hard work, love your blog and recipes! Hi Marina. There is an “Instant Pot” tag and you can also type in “instant pot” in the search bar and you will get all the recipes, videos and blog posts I have. I’ve never used this pot, but am very curious to try it out. I’ve never used an Instant Pot before, but I would love to win one and make some black bean chili. 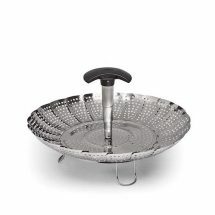 This is a great kitchen tool! Would love to try making different types of porridge, hoping to encourage healthy eating habits for my kids. I would definitely try making soup or pulled pork. I would defiantly try making bbq pulled. Would love to see more recipes such as stew, soups. Thank you for this wonderful opportunity to win this instant pot. I need this! I got one for my sister for Christmas and she uses it all the time! Thank you so much for this video! We got my mom one for Christmas and i am sending her this. I am excited to use it for soups! My mom has the same one, and she loves it!! Would love to try making braised potatoes in it and other good food! Hi Olga! I’ve been following you for a year or so and I would love to win the instapot. We are a family of 6 so making meals quickly that are healthy and wholesome would be so helpful for me. Thank you so much! Most favorite thing to cook in the instant pot is meat. Cooks quickly and is delicious! Hi, love your websayt! I didn’t owe Instant Pot yet, would love to win one. 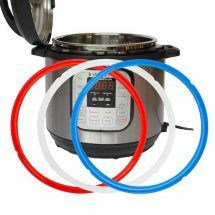 I have lots of recipes I would love to try on Instant Pot. Thank you for organizing the give away. I’ve been eyeing an Instant Pot for a while but haven’t jumped the gun! I would love to make meals simpler and easier with this awesome device! I’ve never used an instant pot, but would love to try it. It seems like it would be especially great in the summer when I don’t want to heat up the whole house cooking. Definitely interested in the Instapot now! So good to know tips and tricks on how to get started! My favorite way to use the Instapot is for meat meals. I actually bought the instant pot because you talked about it earlier. And i LoVE it!!! I like cooking broccoli in it and serve it with cheese’n My kids just love it. And its healthy too. I never used or have one but I think it will simplify life! This simplified so many things! You definitely make awesome use of the instant pot and have made me really want one too! First thing I will be making when I get one is some yogurt and ricotta cheese! I’m super excited about this giveaway, I have been wanting to purchase this item for a while. If I win , I will love to try out all of your recipes for it! I have seen so many people using this and I still don’t own one🙈I would love to win and try it out! Hi Olga! Thanks for the video on Instant Pot for beginners. What a great giveaway! I have purchased a small pressure cooker over a year ago that has no extra options for cooking. I’ve used mine once and was terrified about releasing pressure at the end. After watching your video and seeing so many different recipes in instant pot, I’m ready to give it another try. I keep going back and forth on whether or not to get one! It seems like a pretty great kitchen appliance. I’d love to try making ham and pea soup in there. Would love to try out ribs in the instapot! Me and my husband love your recipes and have been wanting to buy a pressure cooker! I hope to win so we can try more of your recipes! I’m excited to just have dinners made easier. Expecting baby #5 and would love to try an instant pot. Been wanting one for a while. Would love to win one! This is so generous of you, Olga! So excited and hope to win! I would love an instant pot of my own!!! Love borrowing one from my sister. I have made yogurt in the instant pot a few times, but it is always kind of slimy. Is it normal? I would love to have one. Thank you! Would love to learn more about the instant pot. Seems everyone is using it but me, lol..
Olga, your videos are a true blessing. 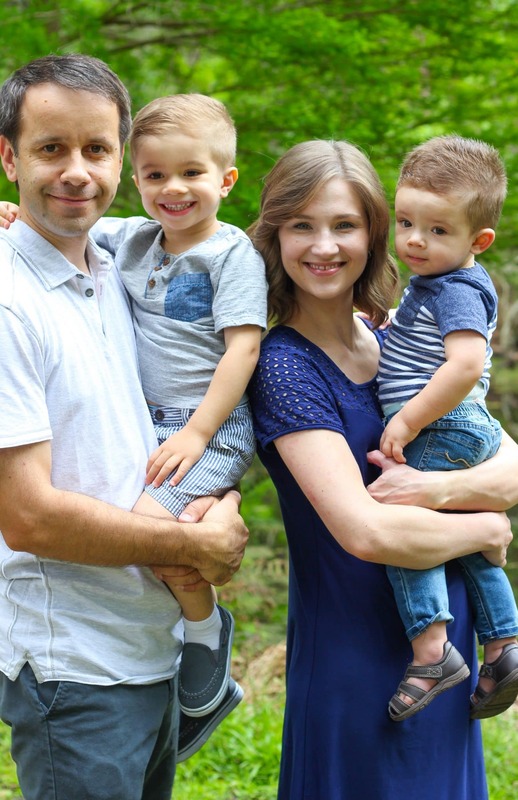 As a mom of four, my day is extremely hectic. I have pretty much gotten all my ideas from you for this past holiday season. So delicious. So good. Happy family. We are Latino so Mexican gets old after a few weeks, that’s why I love your recipes. Follow you on Facebook and Instagram. Praying for favor with this instapot. Thanks for being a blessing! I don’t have one of my own, but my mother does and it’s absolutely amazing what it does! Thanks so much for the tips. I’ve been planning on purchasing one for myself. I don’t have one of my own, but my mother does and it’s amazing what this thing can do! Thanks so much for the tips! I’ve been planning on purchasing one fo myself. Hi Olga! I would like to use instant pot to make rice. I’ve been wanting to try out the instant pot ever since I started seeing it on your stories! It looks so easy to use. So many recipes use the the instant pot and I would love to experience it first hand! Hi! I still don’t own an instant pot but would love to have one to try out the many recipes I’ve seen being made in it. Chuck roast is fantastic in a pressure cooker. Yummy! I don’t have an instant pot, and I would like to have one. If I will not win this giveaway 🙂 then definitely will buy one. Thank you for recipes and tips how to use it. I make farmers cheese almost every week, so I am going to do it in instant pot. Thank you for your so useful blog. God bless you! There is so many recipes I would definatly try starting from your website. Would be helpful becuase I cook almost every day . And I saw your post about wearing myself out. And honestly I have been. So now looking to adjust. I have made your chicken plov and I like to have that for next day reheat and add few pickled items to the side and easy dinner there no need to cook . Thanks for all your tips !! I wanted to buy an insta pot for a long time but couldn’t find easy tasty recipes that my kids would enjoy, and… I was afraid it would explode😆 I will definitely give it a second thought after watching your video. My grown kids keep telling me I need one of these – thanks for the explanation. Love following you and so good to see you looking so healthy!! We were just cooking rice for sushi yesterday in an insta pot and weren’t. Sure if we should release the pressure or it would release on its own. This pot isn’t as simple as it looks definitely will have to rewatch video and research more things you can do with it. Very interested about doing beef. My favorite way to use insta pot is to cook meats in it. So fast and delicious! I would like to own one, looks like it’s very handy for busy families!!! Thanks for all the posts, they are very interesting and useful!!! I would make Ham and Bean soup, Chicken and Dumplings, Pulled Pork, and Senegalese Chicken Stew just to begin with. I hope I win. I want to try and cook pulled pork for some sliders. I have also always wanted to try beef short ribs so being able to have a pressure cooker would come in handy. Thanks for sharing the basics! I just bought myself an InstantPot for Christmas, and I’m excited to use it! Would love to see more recipes, especially Russian food/soup recipes (my husband wants me making more “Russian” food than any other type). Hi olga is your instant pot American made? Or may be Made in china? What is the name of factory? And the pot mark or brand? I don’t know where it is produced, Sefie. Thanks Olga for replying🙏😊and i must say i loved each of your recipes i made.